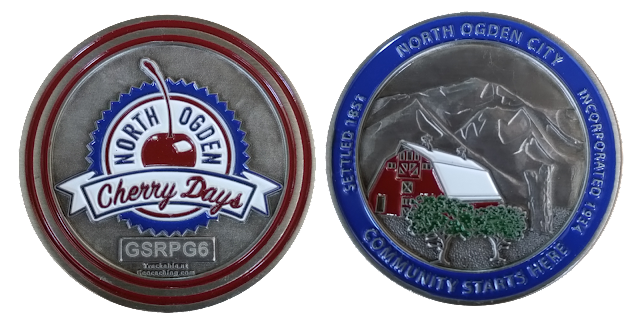 One week before Cherry Days, North Ogden City will be having a Treasure Hunt for our Cherry Days Medallion. It will be hidden somewhere in the North Ogden City limits. 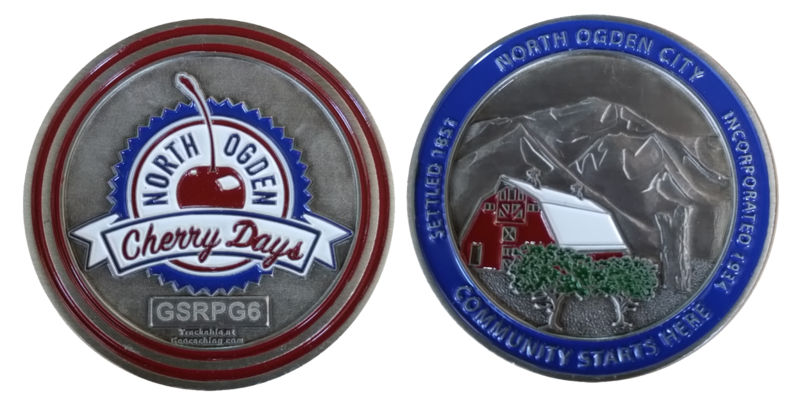 This year, the medallion is one of the geocoins from the North Ogden Parks, Trails and Open Lands Committee. The medallion has the code "GSRPG6" on the Cherry Days side as shown in the image above. It is 1.75" round. Similar coins (with different codes) can be purchased from the Parks and Recreation Office (2705 N 550 E) for $15. 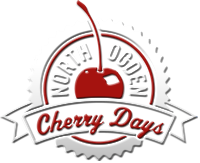 Proceeds go towards the North Ogden City Parks. *The Place where the Medallion is hid does not require entry onto or destruction of private property. The 2018 Medallion has been found! 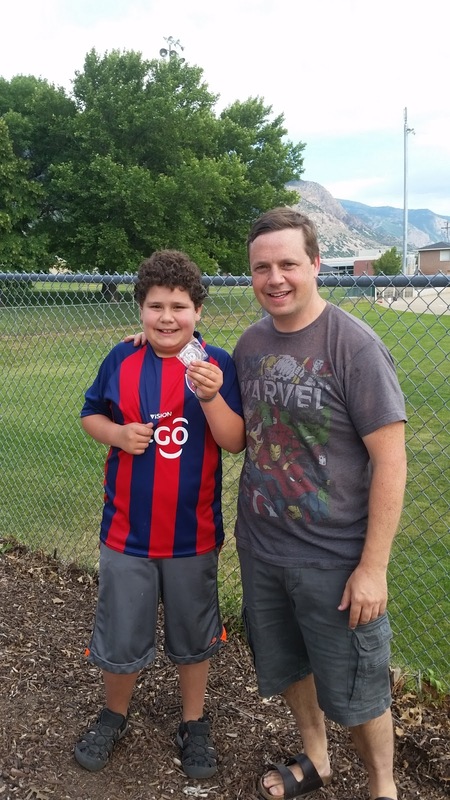 For the person that finds the medallion: take a picture with you in the spot you found it and send the text to 801-940-1838 saying "found it" with your name. Afterwards, bring it into the Parks and Recreation Office by July 3rd at 3:00 PM and you will win a pool party at North Shore Aquatic Center for up to 200 people in August 2018. This is over a $200.00 value. Congratulations to Rafe and Aidan Chino and Family! Once a field of grass so green; then storm clouds billow in. Large drops fall, a plan foreseen; the field is now a watery bin. Nature waves her magic wand; ducks on the pond soon come. A slow release to the beyond; for now, her work is done. From this spot, though obscured by trees; a careful look and you will see. Mount Ben Lomond comes into view; North Ogden’s diamond in majestic hue. Surrounded by our city fare; view of chain link in partial square. Stretching round about the edge; encloses all and makes a wedge. A perfect dozen there would be; but today, one less you’ll see. Within those ones, a team of nine; can always find a grand old time. “This field, this game: it's a part of our past”; a movie quote that is sure to last. The years have surely taken their toll; as many a game she has seen. She stands erect in all her glory; decorated in weathered green. And from her view; you’re sure to see; with eagle eyes the final key. Care do take, destruct no thing; the prize you seek, can partially be seen. The pitch is thrown, a real spitball; the batter swings away. A crack is heard, the crowd goes wild; right fielder in dismay. Home run it be? The tension mounts; the ball begins to fade. At the wall, it makes its mark; the key to this charade. Home run the ump yells loud and clear; it echoes through the stands. The players advance, the game is won, a mighty sweet grand slam.